Managing a project is a matter of discipline in the execution and adaptability in the development. The management of a complex project consists in the first place in the analysis of the various tasks and their rigourous assignment. But it must be abble to adapt in its implementation, accordingly to the technical and/or creative evolutions, in order to result in a dynamic product. 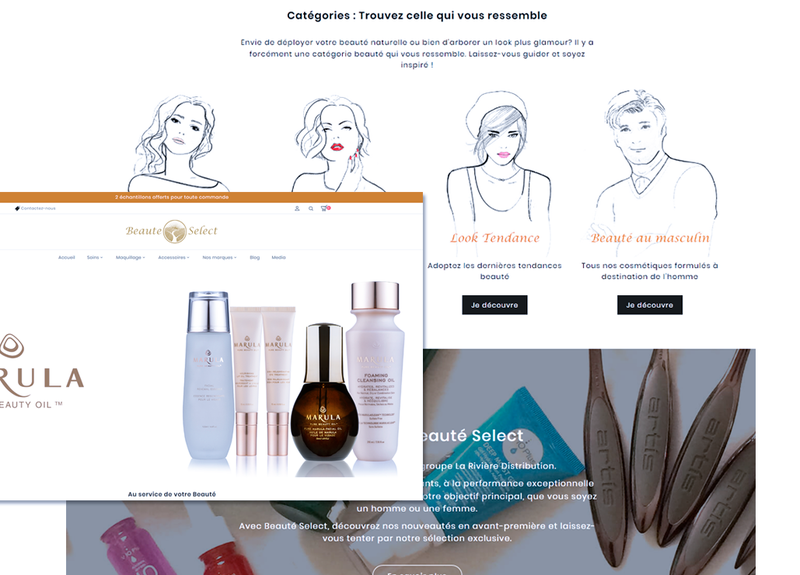 Redesign of the corporate website, the merchant site and the french site dedicated to the main brand Revitalash. Communication with custommers, programmers, graphic designers, lawyers, influencers, and trade exhibition organizers. 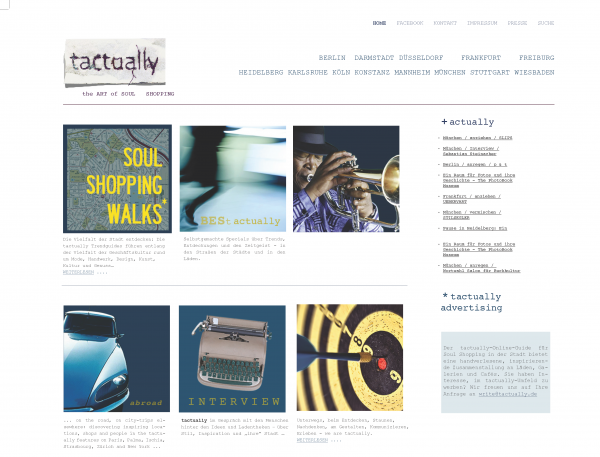 Tactually invites you to discover cities (mainly in Germany) through a selection of independant shops, cafés and innovative merchant concepts. Web design, creation of content, content management, reportages, interviews, guided tours, Facebook, marketing. Interactive website that retraces the trails of Marco Polo between Venice and Bejing. Original concept inspired by the documentary series « Marco Polo Reloaded » from Along Mekong Productions. Multimedia: vidéos, audios, photos, Flash animation. 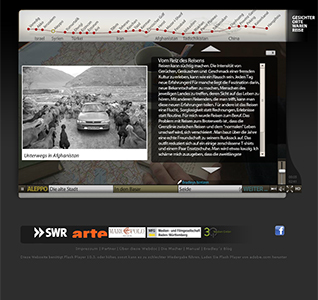 Conception with Rolf Lambert and Bernd Girrbach – Along Mekong Prod.